The history of Château Pont de Brion began in 1931, when Paul Dauvin settled in Langon in the Graves region south of Bordeaux on the left bank of the Garonne and planted the first vines. From then on, the surname of the owner family changed twice through the married sons-in-law. Today, Charlotte Molinari is leading the estate and has achieved a considerable increase in quality, which is reflected in a series of awards. 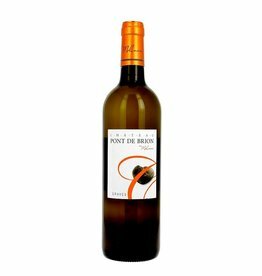 Most recently, she received the "COUP DE COEUR" in the Guide Hachette 2017 wine guide for the 2014 Pont de Brion Graves blanc. Graves Blanc consists of 65% Sémillon and 35% Sauvignon Blanc, the average age of the vines is 45 years. 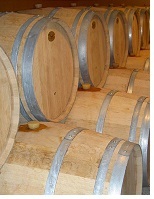 Aged in barriques, as it is for a noble white Graves. The Graves rouge has a high proportion of Cabernet Sauvignon (60%) and also quite a lot of Petit Verdot in the blend (10%), which makes it a characteristic red Bordeaux with a certain "edge". The rest is Merlot and also the vines are 40 years old in average. A long-lived and complex red wine, which tastes more expensive than it is.